Shortlist Announced for our Reader Award 2019. Final voting now open! The List Reader Award, in association with Birra Moretti, will be presented to the restaurant in each city which receives the most online votes from our readers. 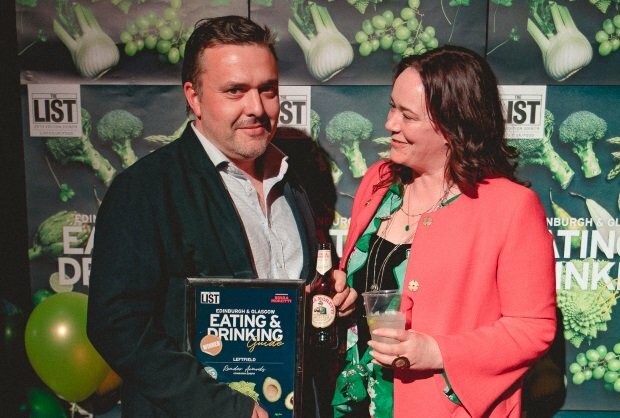 The winners will then be announced at our Eating & Drinking Guide Awards 2019 in Edinburgh and Glasgow. Birra Moretti have partnered with The List to support food and drink in Scotland, helping to promote the businesses and products making a difference to Scotland’s rich gastronomic culture since 2009. You have voted for your top five restaurants in Edinburgh and Glasgow and now you need to vote for your ultimate winner. To vote, simply enter below. Find out more about the shortlist restaurants here, and then cast your vote. If you are looking for inspiration then check out our listings for Edinburgh and Glasgow restaurants. Old tram station that blends the best in Italian cooking with Scottish ingredients and influence. Portobello's brilliant bagel bakery now has a story on Leith Walk for all your bagel needs. Ethically run and sustainably influenced venue with well-sourced, cleverly composed Scottish food in a delightful French bistro setting. Traditional trattoria bringing beautifully cooked Italian favourites to Dennistoun, with the option to take home treats from the deli counter. Expanding from its original East End location, Celino's family-friendly Italian dining is just as popular at this West End restaurant. Modern Italian cuisine in grand, elegant surroundings at the heart of Georgian Edinburgh. Cute and friendly wee café in the now bustling Port Edgar Marina, focusing on diner-style food with a Canadian accent and really rather excellent poutine. Bar and kitchen with one main course option: an inexpensive, juicy flat iron steak, served up in funky 1970s, retro surroundings. A convivial and spacious restaurant and bar with its finger on Finnieston's pulse, doing inventive small plates and exotic cocktails. A revered and respected Edinburgh institution which is neither stuffy or exclusive, despite its lengthy list of plaudits and awards. Westend bistro serving from brunch to dinner, with plenty of Scottish produce and influences, plus occasional pop-ups and take-overs. Stylish Spanish restaurant in a former warehouse offering flexible menus and adventurous food and drink pairings. Competition closes 1 April 2019. The List's usual rules apply.